A few days ago, two mysterious images of a Nikon D40 appeared on the website of German electronics retailer Neckermann. 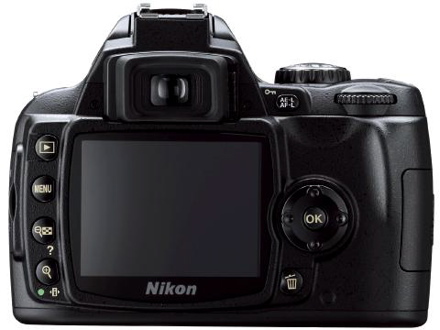 Although the posting has since been removed, that hasn't stopped Digital SLR enthusiasts from poring over the images and the specifications (6 megapixel CCD, 3 point focusing, and the absence of an auto focus motor and a status LCD), both of which suggest that this camera will be aimed at the bottom end of Nikon's DSLR line-up -- if it actually exists, that is. While elitists may moan at the potentially limited feature set, anything that blurs the line between consumer and pro-level cameras is fine by us, especially if it reduces prices.